The Kingsway High School girls’ soccer team has made us all proud. Once again the team has done what the boys did in 2010. 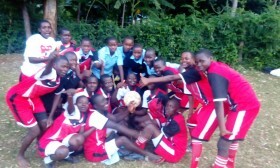 They emerged champions in the zonal games and are proceeding to the district championship. This result has again put our name in the Kenyan dailies sports column. The students and everybody are happy reading the papers.